Thankfully Melody Rossi does not advocate manipulative dehumanizing strategies. Nor does she make us feel guilty for not sharing our faith. 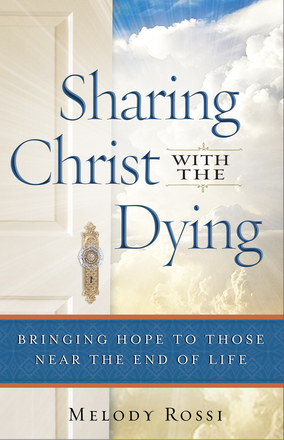 In Sharing Christ with the Dying: Bringing Hope to Those Near the End of Life she discusses how to make the most of every opportunity to share the hope that is within us. This is no abstract exercise. Having recovered from a near-fatal surgical error herself, she also has walked along side others suffering serious illness, the suffering and the dying. This includes a family friend and her parents (mother, father and step-mom) and discovering ways to share her faith in gentle ways. This book is full of insights from her own experience. Rossi also has a lot of practical advice. Ministry to the dying is hard. She talks about the need for adequate support networks, reliance on the Holy Spirit, attentiveness and the importance of helping people with their emergency information (i.e. Will, emergency info etc). Loving the dying is hard work, and those who are watching a parent, a child or a loved one dye will find Rossi’s words encouraging. She does not give us a formula for evangelism but shares how she shared with each of her parents the love of Christ in ways that were meaningful to them. It is refreshing reading an Evangelism book which is not manipulative but also dispenses practical advice on how to love well. If you have loved ones suffering and are unsure how to share your faith, Rossi is a good guide. But she will not give you a formula on how to bring your loved ones to faith. 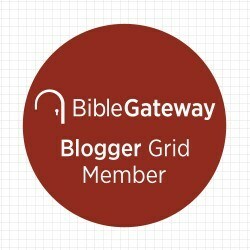 In each case she learned how to respond to what God was doing and tailored her evangelism. I give this book four stars. Thank you to Bethany House for providing me with a copy of this book in exchange for my honest review. 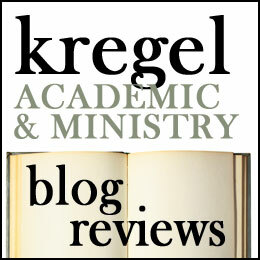 Previous Previous post: Michael Yankoski’s Sacred Year: not a book review (just initial thoughts).